Traditions Jewish Gifts is your online Jewish store for Jewish wedding gifts, including Jewish wedding jewelry, bridal party gifts, and decorative or sentimental mezuzahs and Talis. Whether you are Jewish or simply looking for wedding gifts for Jewish brides or grooms, gift givers will find a wide variety of Jewish wedding gifts that fit any style and budget. One of the most important Jewish wedding traditions is the breaking of the wedding glasses, which reminds those in attendance of the destruction of the Temple of Jerusalem and identifies the couple as members of the spiritual nation of Judaism and its destiny. After the breaking of the glass, those in attendance wish the couple good luck by shouting "Mazel Tov!" We have a large selection of crushed wedding glass keepsakes. 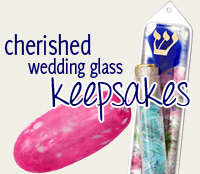 You can encase the wedding glass in a mezuzah, or purchase Shabbat candles, Kiddush cups, frames or a cube—all of which make great Jewish wedding gifts. Let us make your wedding planning easy with one stop shopping for your Ketubot, imprinted yarmulkes, Talism and more. We offer a Jewish gift registry which makes gift giving a whole lot easier for your family and friends. You are then sure to get the Judaica you want. 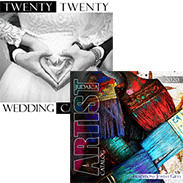 If you are getting married or know someone who is, Traditions Jewish Gifts is the most convenient online Jewish store where you can find great Jewish wedding gifts.